Valentine crafts for kids are perfect for fun and easy activities. Make hearts, garlands, and decorate your Christmas tree to celebrate Valentine's Day! You can also find out about the history which makes it even more fun to celebrate! 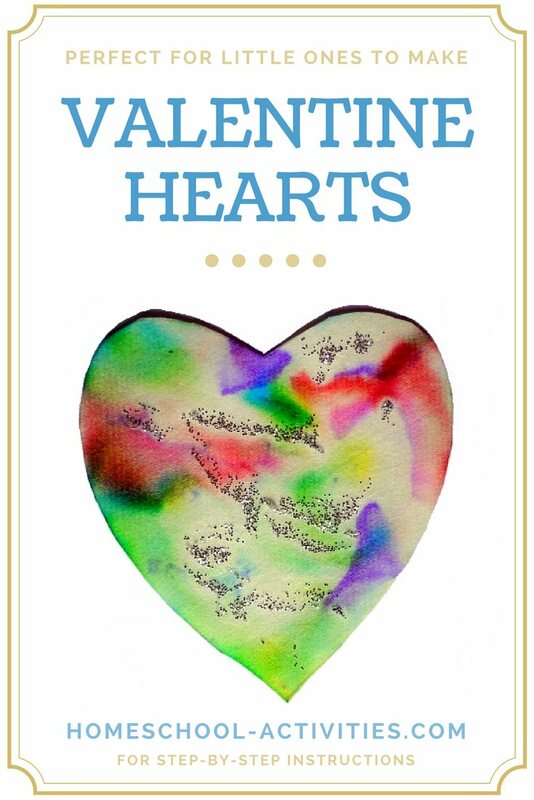 Valentine Day crafts for kids come alive when you add drops of water onto marker pen colors. The colors spray out into fascinating patterns and delicate hues - perfect for decorating hearts and flowers. 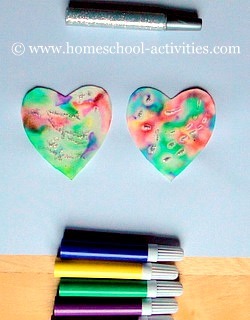 Easy crafts for kids are a great choice for making something to mark Valentine Day. My children William and Catherine found chromatography totally absorbing - even though it's really simple and quick! You can use chromatography to make beautiful butterflies and flowers - ideal for decorating Valentine Day cards. If you put marker pen colors on blotting paper and then add drops of water, something magic happens. 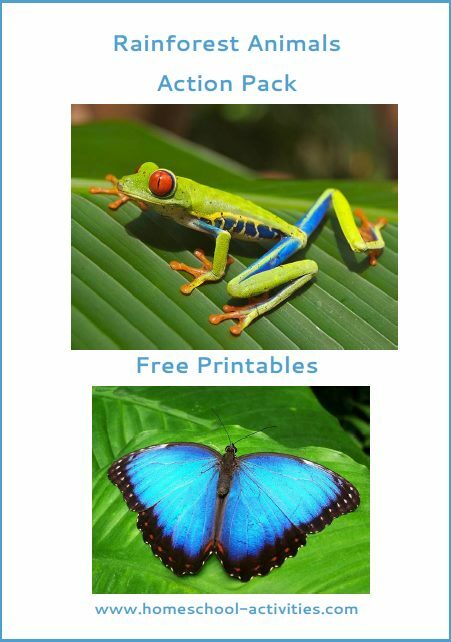 The colors split up into their components and spread delicately up the paper, creating all sorts of fascinating unexpected effects ideal to use for all sorts of homeschooling kids crafts. Easy Valentine crafts for kids like this are great for any age, from those who can only just hold a pen on up to High School. 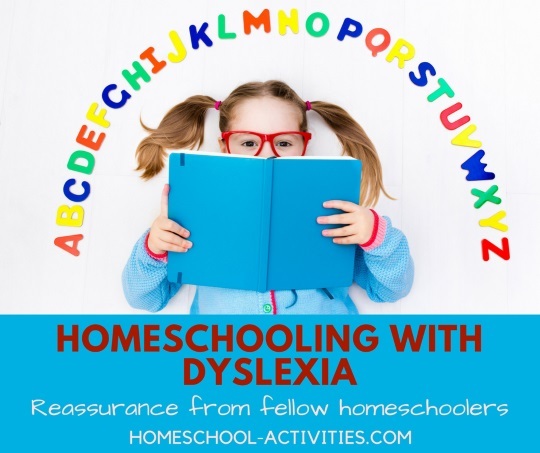 Because the effects are random it means this is one of those fun homeschool activities where everyone is equal. A selection of colored homeschooling marker pens. Chunky ones are best and easy for small kids to hold. You can use ordinary-size felt tips but the effects aren't quite as much fun; thicker color blobs and lines create bigger swirls when you add water. Something to add water. You could just sprinkle some on with a homeschooling paintbrush, but William and Catherine discovered homeschool Valentine crafts for kids are more fun if you use a medicine bottle pipette. They loved squeezing drops of water out of the pipette nozzle! Glitter glue pens (optional). You can use them to add patterns onto your crafts kids activities and they certainly make these homeschool Valentine Day hearts look prettier. Thanks for asking Lydia! I couldn't find blotting paper in the US, but apparently watercolor paper works in the same way..
Stacey and Casey have been making these lovely crafts which would look great in any home. 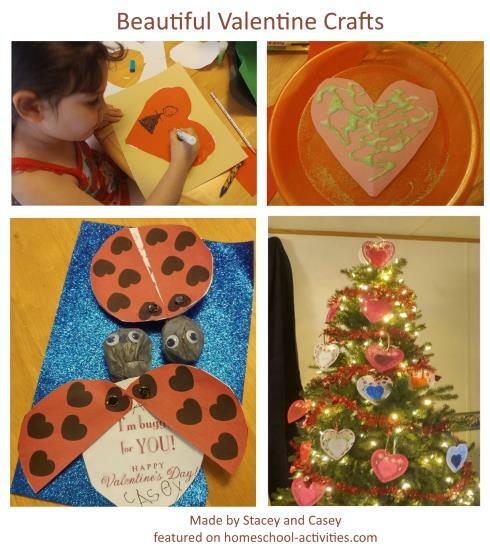 "We decorated a Christmas tree with some paper doilies we found at dollar store and found some heart garland. For the lady bugs we used/taped tootsie pops wrapped in a plastic gray shopping bag to make head. The body is cardboard with valentine note glued to it, same as wings mom found red colored w/❤ already on them on computer and printed them off glued to another piece of cardboard, cut in 1/2 and tacked them on w/ split pin for each wing." "We've been making Valentines bunting the last couple of days. Hearts made from PVA glue (Elmer's Glue) and corn flour, then decorated by the small people!" I always struggle to get the shape symmetrical, so I draw half a heart, fold it over and cut round the shape so when I open it out both halves are identical. 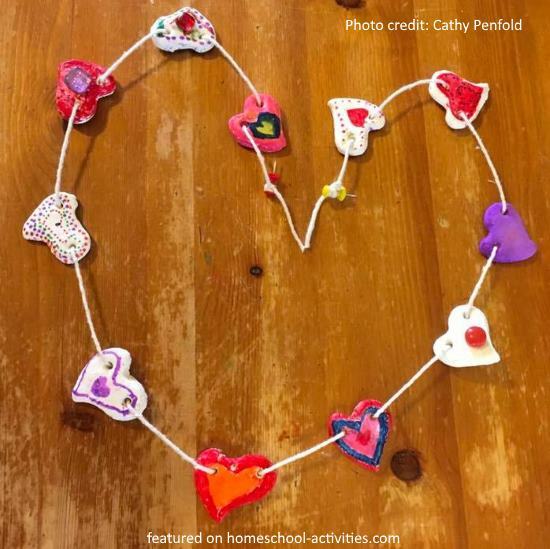 To keep these activities easy for small kids, it might be a good idea for you to make a homeschooling heart template and then cut out lots of hearts yourself from the blotting paper. That way even the youngest can enjoy homeschooling Valentine crafts for kids because all they need do to join in with easy crafts activities is to add dots of color and drops of water! This pretty homeschool Valentine flower was made entirely by William and Catherine. You can see they've cut out two flower shapes and put one on top of the other. 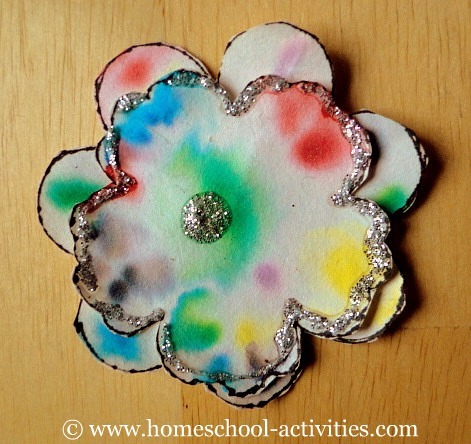 The homeschool glitter glue adds extra fun! You can make these homeschooling Valentine Day flower crafts for kids more effective by adding pipe cleaner stalks. Stick your hearts and flowers onto Valentine Day cards. Make a Valentine Day bookmark. If you have older children, Wikipedia gives you the history of Valentine's Day, which is a nice interesting thing to know. 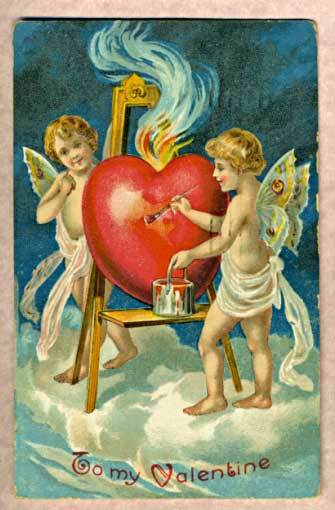 There's a great list of Valentine's Day activities for different ages on this site. Easy Valentine crafts for kids is a wonderful way to spend time making beautiful creations.